(Natural News) The offices of President Donald J. Trump’s personal lawyer, Michael Cohen, were raided on Monday by FBI agents acting on a referral from special counsel Robert Mueller, whose actions continue to leave little doubt that there is no evidence whatsoever of so-called “collusion” between Team Trump and Russia during the 2016 election. Reports claimed that agents were in pursuit of a trove of emails and documents including information pertaining to a $130,000 payment made by Cohen to former adult entertainment star Stormy Daniels. In addition, reports said that Cohen may be under investigation by the bureau for alleged bank fraud and campaign violations. In a series of statements Monday evening and tweets Tuesday morning, Trump made clear his frustration, even hinting that the ongoing probe with no parameters and no end in sight is harming his ability to lead the country during tense times. Calling the raid a “disgraceful situation” and an “attack on our country in a true sense … an attack on what we all stand for,” the president noted further: “It’s a total witch hunt. I’ve been saying it for a long time. I’ve wanted to keep it down. I’ve given over a million pages in documents to the special counsel. “They continue to just go forward and here we are talking about Syria, we’re talking about a lot of serious things … and I have this witch hunt constantly going on for over 12 months now. Actually, it’s much more than that. You could say right after I won the nomination it started,” Trump said, according to press pool reports. “This is the most biased group of people. These people have the biggest conflicts of interest I have ever seen … Either Democrats or a couple of Republicans who worked for President Obama. They’re not looking at the other side — Hillary Clinton … They only keep looking at us,” said the president. 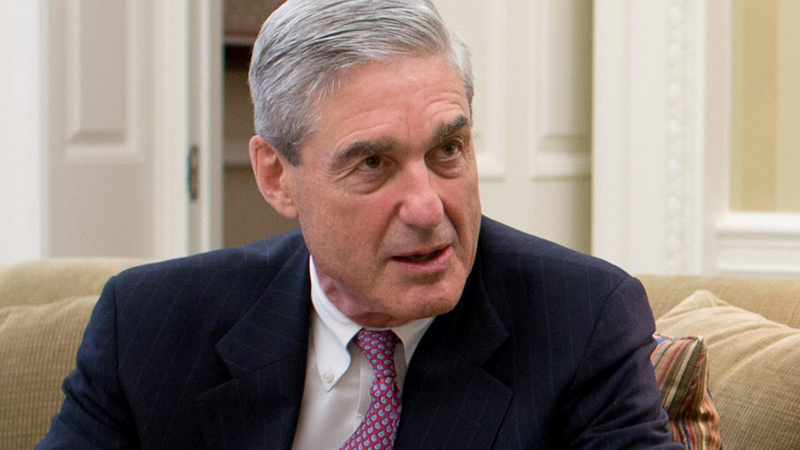 On Tuesday he tweeted, “Attorney-client privilege is dead!” in a reference to the FBI possibly seizing documents that pertain to private matters that have nothing to do with Mueller’s original stated appointment. The president also had some words for Attorney General Jeff Sessions, who recused himself early on from Justice Department investigations pertaining to Russia but who seems oblivious now to the fact that Mueller’s probe has nothing to do with Russia anymore. “[H]e made what I consider to be a very terrible mistake for the country. But you’ll figure that out,” Trump said of Sessions’ recusal. Finally, Trump took a shot at former FBI Director James Comey, whom he fired. “Well, I turned out to do the right thing [firing former FBI Director James Comey.] If you look at all of the things he’s done and the lies, and you look at what’s going on at the FBI … turned out I did the right thing,” he said. At least one legal expert, constitutional law professor Alan Dershowitz, agrees with the president on the matter of the traditional standard regarding attorney-client privilege, which, apparently, is not absolute. And he wonders why — sarcastically — the Left-wing American Civil Liberties Union isn’t crying foul. “This may be an attempt to squeeze Cohen — he’s the lawyer, he’s the guy who knows all the facts about Donald Trump — and to get him to turn against his client,” Dershowitz said. “The deafening silence of the ACLU and civil libertarians about the intrusion into the lawyer-client confidentiality is really appalling,” he added, as reported by the UK’s Daily Mail. It should be patently obvious by now that the Trump-Russia collusion narrative is an absolute hoax, ginned up by the very people who continue to go after a duly-elected president in a way that ought to scare every American who cares about the rule of law.